It has been rumored for months that Grammy-winning artist Adele would perform the theme song for the upcoming James Bond film, Skyfall. Today, Showbiz411 confirms she has the gig, and the song will probably be called “Skyfall” (as opposed to “Another Way to Die” being the song from Quantum of Solace). Adele will likely write the song as well. It will be the English singer-songwriter’s first single since her last album, 21. I’m curious to see where her song will rank among Bond themes. Probably higher than “Die Another Day”. 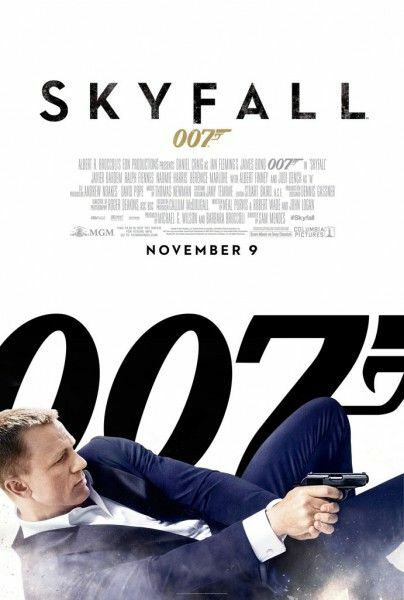 In other Skyfall news, new posters and banners have been released for the film, and you can check them out after the jump. Skyfall opens October 26th in the UK, November 9th in the US, and stars Daniel Craig, Javier Bardem, Judi Dench, Berenice Marlohe, Naomie Harris, Ben Whishaw, and Ralph Fiennes.